Famed for its clear waters, iconic monastery and authentic Cycladic character, Amorgos is an island of endless fascination. Located at the eastern edge of the Cyclades and bordering the Dodecanese islands, Amorgos appears as an elongated, slanted shape on the map – a little reminiscent of a seahorse. Widely agreed to be authentic and beautiful, the island is renowned for its trails and walking paths, its raki-loving spirit (a grape-based liquor), and its aromatic herbs. Although occasionally shrouded in what some have called ‘melancholy’, Amorgos usually impresses visitors very positively. It has a number of centers: two active ports, and Chora – the main town – at a separate location. This means visitors should be prepared to move around. A monastery located on the eastern side of the island – whose name is presumably linked with Hozeva, a location between Jerusalem and Jericho. 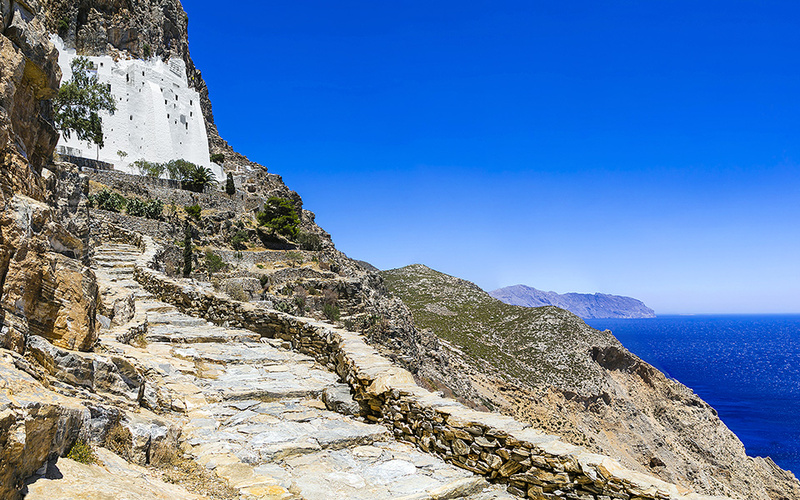 Consisting of eight different levels affixed on an enormous rock cliff, the Amorgos monastery is one of Greece’s most impressive and dramatic monastic destinations. Don’t let the copious amount of steps leading up to the entrance stop you; it is worth climbing for a close-up at the imposing complex, and the magnificent view offered from its elevated location. Definitely plan to carry plenty of water for the ascent, and avoid visiting during the hottest hours. 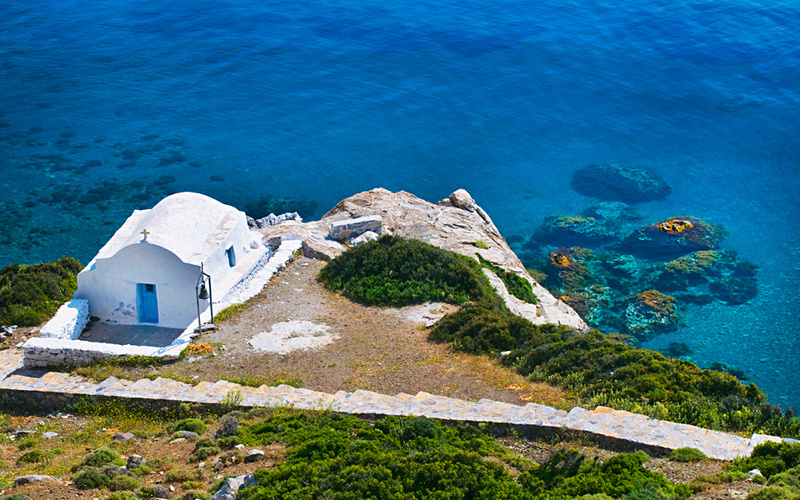 Amorgos may be reached by ferry from Piraeus to the island’s Aegiali port (8 hours/72 euros return) or Katapola port (10 hours/72 euros return), as well as by the faster flying dolphin (6 hours/118 euros return). 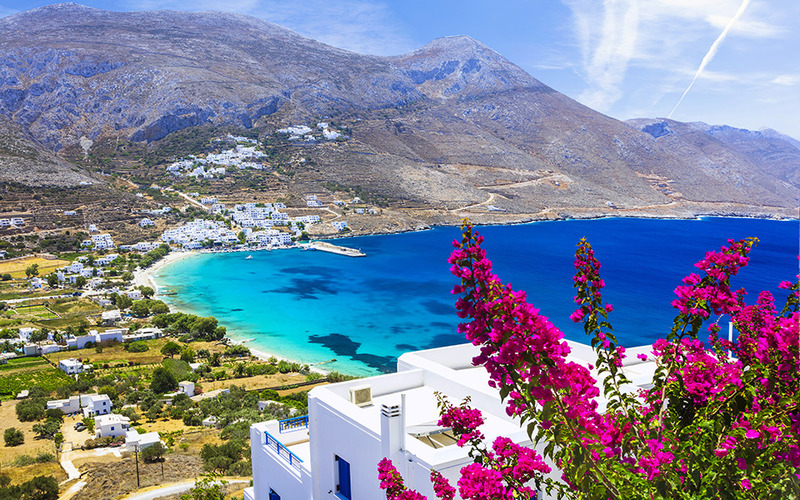 Town of Amorgos is genuinely Cycladic, and one of Greece’s most striking island capitals. It is full of charming alleys, water fountains, and many similar-looking churches. Located near the centre of the island (slightly towards the south), it offers a remarkable architectural setting. 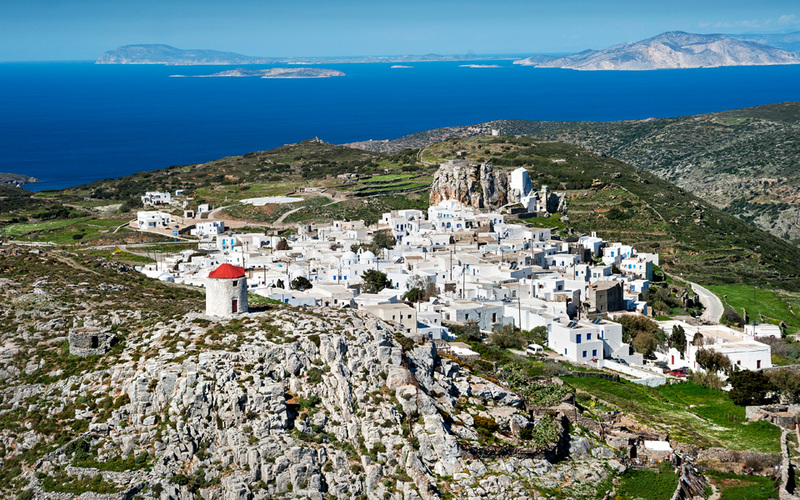 Highlights include the Amorgos Archaeological Collection, and Gavras Tower – a Venetian monument possibly dating back to the 16th century – which was reconstructed in the 70s. The island’s two ports located at opposite ends. Aegiali is situated northeast of Chora, about half an hour away by car. Katapola is a ten-minute drive west of Chora. The long and curved sandy beach at Aegiali, also known as Giali, is great for swimming. Bars, tavernas, and accommodation are offered in abundance here. Katapola offers options for tourists as well, but in a milder fashion. 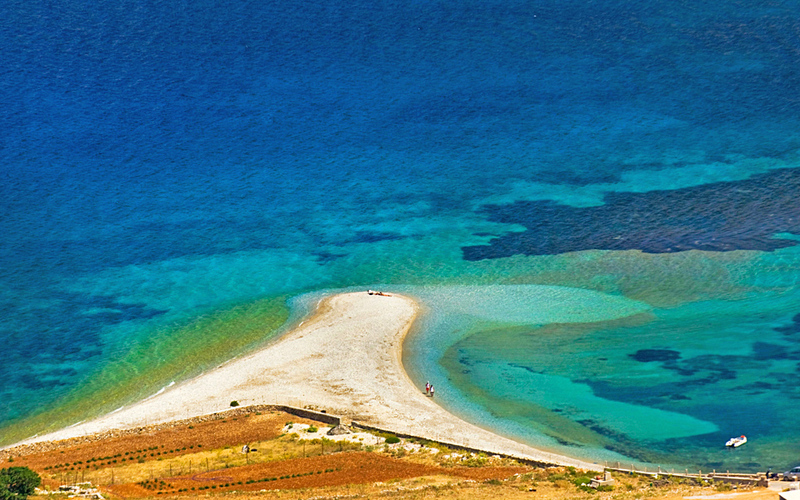 If in the mood for a short little adventure, take off from Katapola and head to nearby Xylokeratidi. All of which offer many traditional Cycladic touches. Whitewashed houses, narrow alleys, stairs, arches, great views, and overall tranquility are trademark features of these three charming towns. 5. Make the most of the island’s beaches and trails. Good beach options include the renowned Aghia Anna, Tris Ierarches, Aghios Pavlos (located opposite the islet Nikouria), Kalotaritissa, Mouros, Maltezi and Aghios Panteleimonas. As for walking trails, Amorgos is a trekking paradise. Before taking off, make sure you are well-informed about the trails’ degrees of difficulty, and whether they are passable. Amorgialos (tel. +30 2285.073.017) serves classic culinary delights, assorted meze dishes, and quality raki, and is a favourite spot in Aegiali. Limani Tis Kyra-Katinas (tel. +30 2285.073.269) is another popular spot. The dishes here include kakavia – fish soup made with assorted small fish, and salad with capers. If in the mood for fried chips, meat dishes, and generous portions, go to Marouso (tel. +30 2285.072.331) in Arkesini, at the island’s southern part. Sweet-toothed visitors wishing to try syrupy delicacies should visit Kallisto (tel. +30 2285.074.094) in the main town, Chora. From amazing natural products come these delicious island specialties.